Congratulations! You’ve made the decision to remodel your kitchen, adding value to your home and life. 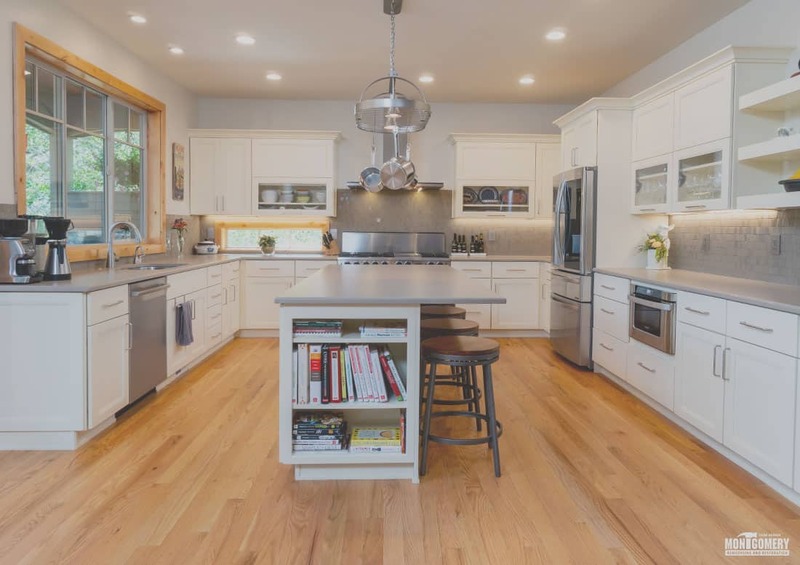 Whether you are wanting to upgrade your kitchen with new appliances and a fresh look or maybe you’re finally tired of bumping into family members while you cook; you’ve probably got a few ideas of what you need, but not where to start. This article is to help start you on the path to your new kitchen. A few initial questions to ask yourself: What are you hoping to get out of this remodel? How do you use your kitchen on a daily basis? What about if/when you host events? How many people use this kitchen? What about in the future? Can you work with the existing layout of this kitchen and/or do you need more space? And most important, what is your budget? Keeping these questions in mind will help you decide on your budget. It’s a balance between what you want and what you can afford. Prioritize. We don’t expect our clients to already know what everything costs and can often give a preliminary range of what a potential kitchen remodel costs from a low end to a high one. It would be wonderful to have an unlimited budget for your remodel, but the fact is most of us do not. Which is ok! Compromises are all part of the process, but that doesn’t mean you can’t have the kitchen of your dreams. So, how do you figure out which selections to make over another? The key is to decide what matters most to you. First, have a goal in mind for your kitchen. You’ve established your needs vs wants and paired those with what you can afford. But what about the function of the kitchen vs the look? Ideally, your remodeled kitchen will be the perfect balance of functionality and beauty. Your kitchen layout is important. How do you want the flow of the kitchen to work? Are you entertaining often? Do you have a big family? These are important questions to consider but do not have to take away from the aesthetic details of your remodel. Your finishing touches can be just as important as where you decide to locate the sink. This trade off of function vs aesthetic has a lot to do with your lifestyle. We recommend that if your budget is tight, focus on function first. You can always change the look of your kitchen at a later time, but it takes a lot of work to reconfigure the layout. Once you’ve decided on these details, it’s time to hire a professional. Hiring a general contractor, such as Montgomery Remodeling and Restoration, will help your project stay on track and within budget. We will hire and schedule all necessary subcontractors for each part of the remodel. This includes any designers or architects that may be needed. We can also take your project to the local city or county for approval and get all necessary permits taken care of. All we need from our client is their selections for fixtures, materials, hardware, appliances, etc. We’re happy to assist with these selections or refer you to a source that specializes in that area. Keep in mind, taking too long to finalize your choices can delay the process. Additionally, before the remodel begins, cleaning out the kitchen and clearing your cabinets is extremely helpful, (and a great way to get rid of some items you haven’t used in a long time! ), but we’re happy to do the heavy lifting for you. Helpful Hint: If you’re staying in the house during the remodel, (another question to ask your contractor) we recommend setting up a temporary kitchen in an unaffected area of the house. This includes a place to store and prep your food. A place to grab a quick snack as well as make your morning coffee. Use small appliances like microwaves, toaster ovens or crockpots. (Grill in the summer if possible). Use paper plates and plastic utensils to avoid dishes that need to be washed. And if you have the space, a small area to sit down and eat your meal will help to feel like your routine hasn’t been entirely disrupted. Kitchen remodels do not need to be daunting. A professional company will always lay out a clear scope of work with you as well as discuss a time frame and common expectations. Preparation and organization can save your sanity. Ask questions along the way and never hesitate to reach out. Remember, the kitchen’s function should come first, then you can make it look good. Prioritize what’s most important and work it into your budget. Clear goals will help you make decisions and choosing options that best support those goals will leave you with a kitchen to enjoy for years to come.